We utilize state-of-the-art technology to get you the best results in the shortest amount of time possible. There has never been a better time to seek corrective orthodontic treatment. Our office utilizes every proven development in the field to achieve your unique health and aesthetic goals. We work with each patient to create an individualized treatment plan that reduces discomfort and works within the bounds of your lifestyle to achieve the highest quality results. The iTero Digital Scanner helps us say goodbye to messy, sticky molds! This scanner creates a 3D visualization of your mouth that is cleaner, more comfortable, and more accurate than form molds of the past. Our digital x-ray system uses less radiation than a traditional x-ray. This creates a beautiful image in a fraction of the time and with less risk to patients - especially children and teens. 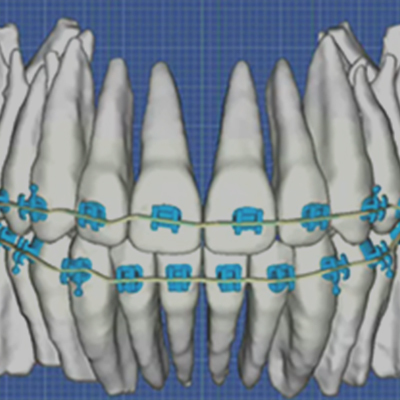 SureSmile is a customized fixed appliance system that works with traditional or lingual (behind teeth) braces to achieve unprecedented accuracy and speed in orthodontic treatment.